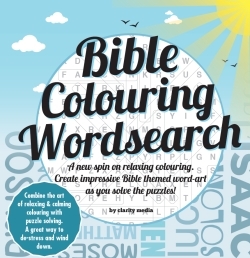 Welcome to this beautiful collection of Bible themed wordsearch puzzles with word-art colouring pages. Adult colouring has proven to be hugely calming and a great way to wind-down. With this book, you can combine both the challenge of word-finding and colouring-in to indulge in some truly therapeutic puzzling. Printed on a large 8.5x8.5 inch page size, this book is perfect for all ages as the words are clear and easy to see. 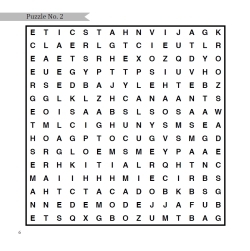 The rules are simple; you must find all words featured on the right hand page in the puzzle grid which is placed on the left page. A great way to complete the puzzle slowly and calmly is to colour the words as you find them. To create a beautiful page of word-art that you can treasure forever, why not try colouring the words in different colours or patterns? 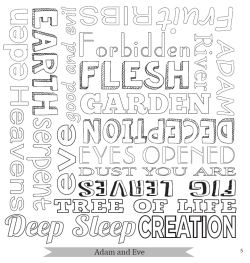 The puzzles are themed by subjects from the bible, so each page is titled accordingly.